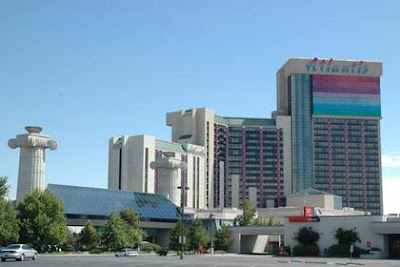 Two casino companies fighting over the right to use the service mark ATLANTIS in connection with casino services are heading for trial after two Nevada District Court orders ruled on multiple motions filed by the parties and set the stage for the parties to proceed to trial. See Kerzner Int'l, Inc. v. Monarch Casino & Resort, Inc., 2009 U.S. Dist. LEXIS 116622 (D. Nev. December 14, 2009); Kerzner Int'l, Inc. v. Monarch Casino & Resort, Inc., 2009 U.S. Dist. LEXIS 116624 (D. Nev. December 14, 2009). 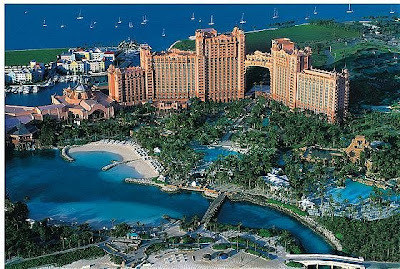 On one side are Kerzner International Limited and Kerzner International Resorts, Inc. (together “Kerzner”), the owners of the Atlantis Resort and Casino on Paradise Island in The Bahamas. On the other side is Monarch Casino & Resort, Inc. and Golden Road Motor Inn, Inc. (together “Monarch”) which own and operate the Atlantis Casino Resort Spa in Reno, Nevada. The origins of the dispute date back to a trademark registration for the mark ATLANTIS for lodging services which was originally registered with the U.S. Patent and Trademark Office by Atlantis Lodge, Inc. (“Lodge”) on October 11, 1994. Lodge had been using the Atlantis mark in connection with lodging services in North Carolina since June 6, 1963. Lodge’s subsequent licensing of its Atlantis mark to both Kerzner and Monarch set the foundation for the eventual dispute between Kerzner and Monarch. Monarch had been offering lodging services in Reno, Nevada since 1972 and casino services since 1986, but when Monarch first used the Atlantis mark in 1992, it was in connection with restaurant, bar, lounge, and nightclub services, not lodging or casino services. In February 1996, Monarch entered into a license agreement with Lodge for the exclusive right to use the Atlantis mark in connection with lodging services in all of Nevada. In April 1996, Monarch Reno casino resort (which at the time was operating under the “Clarion” mark) began operating under the name “Atlantis Casino Resort.” In July 1997, Monarch obtained a Nevada state trademark registration for the mark “Atlantis Casino Resort” for casino services, but never sought federal registration of the Atlantis mark for casino services. In October 1994, Kerzner entered into a license agreement with Lodge for use of the Atlantis mark at its casino resort in The Bahamas (which at the time was under the name “Paradise Island Resort and Casino”). Kerzner began advertising the rebranding of its casino resort under the Atlantis name in October 1994 with the officially reopening occurring in December 1994. In July 1996, Kerzner entered into an assignment and license agreement with Lodge whereby Kerzner acquired the ATLANTIS trademark registration for lodging services from Lodge and licensed the mark back to Lodge for use in North Carolina. The license agreement between Lodge and Monarch was attached as an exhibit to the Lodge/Kerzner assignment agreement, and Lodge’s representations of its right to assign the Atlantis mark were made subject to Monarch’s exclusive license to use the mark for lodging services in Nevada. In February 1997, Kerzner filed an intent-to-use application to register the mark ATLANTIS in connection with, among other things, providing casino facilities, which issued on February 3, 2004, after Kerzner filed a Statement of Use in September 2003, claiming a first use date of October 1994. The parties apparently coexisted in their respective markets without any problems until each side started taking steps towards expanding their respective Atlantis brand into the Las Vegas market. Kerzner’s first amended complaint against Monarch was filed on February 14, 2006, and sought declaratory judgments that Monarch’s use of the Atlantis mark infringed Kerzner’s trademark right. Monarch fought back by filing counterclaims on December 28, 2006, seeking cancellation of Kerzner’s trademark registration and its own declaratory relief with respect to its own trademark rights to the Atlantis mark that Monarch had developed in connection with casino services. Monarch also filed a cancellation petition with the Trademark Trial and Appeal Board to cancel Kerzner’s trademark registration. See Monarch Casino & Resort, Inc. et al v. Kerzner International Resorts, Inc., Cancellation No. 92045869 (T.T.A.B. Filed May 31, 2006). The TTAB proceeding is stayed pending the outcome of the civil action. In one of Monarch’s Motions for Partial Summary Judgment, Monarch claimed that it was entitled to a judgment as a matter of law that it had priority of use of the Atlantis mark for casino services. Monarch argued that its use of the Atlantis mark for casino services dated back to 1992 – the date when it first used the mark in connection with restaurant services (and which was before the date Kerzner began to use the Atlantis mark in The Bahamas). The court, however, rejected Monarch’s argument that its use of the Atlantis mark for a restaurant gave it priority of use in connection with casino services under the “related goods” or “natural expansion” doctrine. The court concluded that restaurant services and casino services are not closely related and that Monarch only began to develop trademark rights in the Atlantis mark for casino services when it actually began using the mark in connection with casino services in April 1996. Monarch also argued that its April 1996 had priority over Kerzner’s first use of December 1994 under the territoriality principle – Kerzner’s use was outside the United States and thus it use was not use of the Atlantis mark for casino services in the United States. The court rejected Kernzer’s counterargument that activities conducted by it in the United States which are “integral” to its casino services in the Bahamas constitutes use of the Atlantis mark in the United States in connection with casino services. Since Kernzer’s “casino services” were clearly rendered outside the United States, Kerzner had to rely upon an exception to the territoriality principle to claim that its use of the Atlantis mark outside the United States gave it trademark rights in the United States..
With respect to one noted exception to the territoriality principle – described in International Bancorp, LLC v. Societe des Bains de Mer et du Cercle des Etrangers a Monaco, 329 F.3d 359 (4th Cir. 2003) where the court found that use of a mark in advertising or sale of services in the United States, coupled with the rendering of those services abroad to United States citizens, is sufficient to give rise to trademark rights in the United States – the court noted that the decision was not binding in the Ninth Circuit and, in light of the fact that the Ninth Circuit had even explicitly declined to adopt the reasoning and noted that the decision had been called into question, the Ninth Circuit would decline to adopt such reasoning if presented with the question. Thus, the district court declined to adopt it as well. As for the other exception to the territoriality principle, that would be the “famous marks” exception to the territoriality principle which was recognized by the Ninth Circuti in Grupo Gigante SA de CV v. Dallo & Co., Inc., 391 F.3d 1088, 1093 (9th Cir. 2004), and thus binding precedent on this district court. Grupo Gigante describes a two-step analytical process to determine whether a mark falls under the famous-mark exception. First, the district court must determine whether the mark has achieved the level of recognition that would be necessary in a domestic trademark infringement case. Id. at 1098; see also id. at 1106 (Graber, J., concurring). Second, “where the mark has not before been used in the American market, the court must be satisfied, by a preponderance of the evidence, that a substantial percentage of consumers in the relevant American market is familiar with the foreign mark. The relevant American market is the geographic area where the defendant uses the alleged infringing mark.” Id. at 1098. Thus, the standard for famous marks is an intermediate one: “[t]o enjoy extraterritorial trademark protection, the owner of a foreign trademark need not show the level of recognition necessary to receive nation-wide protection against trademark dilution. On the other hand, the foreign trademark owner who does not use a mark in the United States must show more than the level of recognition that is necessary in a domestic trademark infringement case.” Id. at 1106 (Graber, J., concurring). The district court clarified that Kerzner must show that its mark was “famous” as of April 1996 – the date when Monarch began to use the Atlantis mark in connection with casino services. And while Kerzner performed some surveys which tended to show that a “substantial percentage of consumers” surveyed were familiar with Kerzner’s use of the Atlantis mark (especially in the Las Vegas market, which was the more relevant market at issue in the case), the survey, conducted in 2007, did not ask questions about when the consumers became aware of the mark, and thus the survey lacked probative value about whether the mark qualifies for the famous-mark exception as of April 1996. The court did note that there was some evidence of the extensive promotional campaign that Kerzner engaged in to promoted its remodeled Atlantis casino resort, which could be reasonably inferred to have penetrated the Las Vegas market. In the end, the court concluded that there was a genuine issue of material fact regarding when, if ever, Kerzner’s casino resort acquired the status of a famous mark in the meaning of Grupo Gigante. The court found that taking all reasonable inferences in Kerzner’s favor, a jury could conclude that by April 1996 a substantial percentage of consumers in the Las Vegas market were familiar with Kerzner’s mark based on the evidence of Kerzner’s substantial national advertising campaign and media coverage of the opening., and thus Kerzner might have priority of use in the Atlantis mark for casino services in the United States under the Grupo Gigante famous marks exception. Based on this finding, the court denied Monarch’s motion. For similar reasons, the court also denied Monarch’s Motion that Kernzer does not have standing to bring its trademark infringement lawsuit. Monarch filed another summary judgment motion arguing that Kerzner cannot show that it is entitled to injunctive relief as a matter of law. Monarch first argued that Kerzner never had any plans to develop a casino resort in Las Vegas, much less one using the Atlantis mark, and thus Kerzner cannot demonstrate a likelihood of irreparable harm if the injunction did not issue. However, the court disagreed finding that, taking all reasonable inferences in Kerzner’s favor, the evidence submitted by Kerzner could demonstrate that Monarch had relatively immediate intentions either to open a casino resort under the Atlantis mark in Las Vegas or to sell rights in the mark to someone who would, and thus an injunction might well be an appropriate remedy after the conclusion of this lawsuit if Kerzner convinces the jury that it has senior rights in the mark. Monarch next argued that since it is undisputed that Monarch has the exclusive right under its license agreement with Kerzner (as Lodge’s assignee in interest) to use the Atlantis mark for lodging services in Nevada (including Las Vegas), a Las Vegas resort hotel and casino under the Atlantis mark would create no greater likelihood of confusion than a facility which offers only lodging services, and thus Kerzner cannot demonstrate any additional likelihood of confusion that Kerzner might be entitled to enjoin. In essence, Monarch argued that its license for lodging services gave Monarch leeway to create a certain likelihood of consumer confusion through providing lodging service, and only activities that would create an additional likelihood of consumer confusion could give rise to liability sufficient to merit an injunction. The court noted the obvious with respect to lodging services – to the extent that a consumer might believe that such a hotel is associated with Kerzner’s Atlantis mark, that consumer would not be confused at all given that Monarch is Kerzner’s licensee of the Atlantis mark for lodging services. The court then rejected Monarch’s argument by noting that Monarch’s license did not give it any rights to use the Atlantis mark in connection with both casino services and lodging services. Moreover, a consumer who believed casino services provided at a Monarch Atlantis casino resort in Las Vegas to be associated with Kerzner would be confused in a way that the consumer making the same association with regard to lodging services alone would not be, and if Kerzner prevails at trial, it may be entitled to an injunction to prevent such consumer confusion. However, in rejecting Monarch’s argument, the court noted that the Grupo Gigante famous marks exception to the territoriality principle necessarily implies an exception to the Dawn Donut rule – the court in Grupo Gigante recognized that consumer confusion can occur with respect to a famous mark abroad even if the user of the mark has no intention of ever using the mark in the United States. The court held that an injunction in the U.S. where a mark used exclusively abroad is determined to be famous under Grupo Gigante would be appropriate to prevent the consumer confusion. Monarch also filed a motion seeking summary judgment on its counterclaim for a declaratory judgment that Monarch’s Nevada state trademark registration is valid and enforceable. While there was no dispute over the validity of Monarch’s state registration, there was a dispute over Monarch’s position that its state law rights trump Kerzner’s federal rights. Monarch argued that its Nevada state trademark rights do not yield to Kerzner’s rights reflected in its federal registration because Kerzner could not use its Atlantis mark in Las Vegas under Nevada law. Monarch’s unique argument comes from the fact that under Nevada law, in order to obtain an unrestricted gaming license in a county of more than 100,000 population (i.e., Las Vegas), the casino must be associated with a hotel with at least 200 rooms. And since Monarch has the exclusive right to use the Atlantis mark for lodging services in Nevada (pursuant to its agreement with Kerzner), Kerzner could not build a casino resort which includes both a casino and a 200-room hotel in Las Vegas under the Atlantis mark, and could not use the Atlantis mark for casino services in Las Vegas or anywhere else in Nevada where the 200-room hotel requirement applies. Monarch’s position is that if Kerzner cannot use the Atlantis mark in Nevada, then Monarch is not blocked from doing so by any federal trademark rights Kerzner may have outside of Nevada. For similar reasons described above, the court rejected Monarch’s argument based on the Grupo Gigante famous marks exception. Even if Kerzner is unable or unwilling to operate a casino in Nevada, it may still have federal trademark rights enforceable in Nevada under the famous marks exception. And those federal trademark rights would preempt Monarch’s state trademark rights. The court also rejected Monarch’s invocation of the “natural zone of expansion” doctrine to argue that Monarch is entitled to statewide rights in the Atlantis mark because Las Vegas is within its “natural zone of expansion,” and therefore Monarch should be treated as if Las Vegas is within the territory where it has already used the mark in connection with casino services, even though Monarch does not actually operate a casino in Las Vegas. The doctrine is normally invoked by senior users seeking to expand their federal statutory trademark rights into areas where a junior user is already using the mark under the protection of the common law. See 5 McCarthy, supra, § 26:20. Here, Monarch turns the doctrine on its head, seeking to leverage its state trademark rights to expand the geographic area in which it is entitled to trademark protections in derogation of Kerzner’s federal rights. Monarch has not cited, nor have we discovered, any authority for so applying the natural zone of expansion doctrine. So while the court granted Monarch’s motion to the extent that the state registration was found to be valid and enforceable under Nevada law, it denied the motion to the extent that there are genuine issues of material fact about whether Kerzner’s mark falls within the Grupo Gigante famous marks exception (and when it became famous) in which case Kerzner would have federal trademark rights which preempt Monarch’s state trademark rights. The court’s decision in a parallel order dealt with additional motions to exclude certain evidence and motions for summary judgment by Monarch and Kerzner. While I won’t go into detail regarding that order in this blog post (isn’t this one already long enough? ), the court did decide as a matter of law that Monarch has continuously used the Atlantis mark for casino services from April 1996 to the present and that Kerzner’s trademark application date (and thus its constructive use date of the mark in the United States) was February 1997. The court’s decisions now push the case towards trial on the issue of whether Kerzner acquired priority of use in the Atlantis mark under the Grupo Gigante famous marks exception.